It’s back to school season! 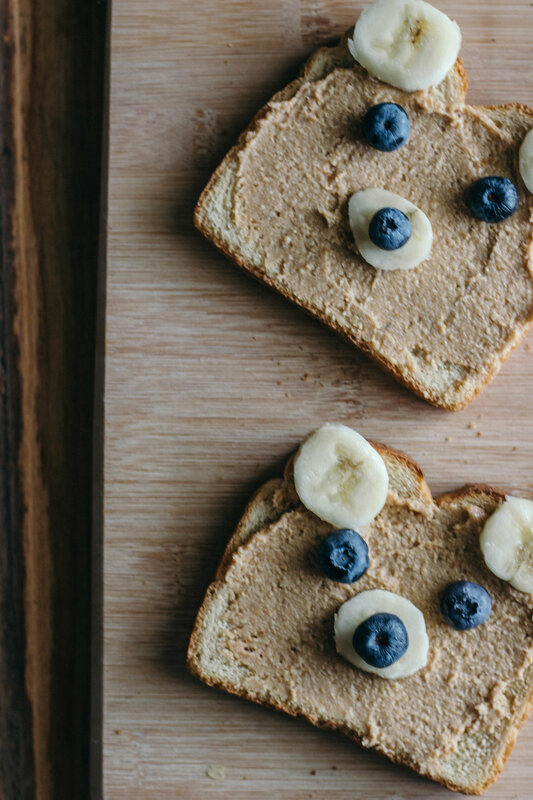 So today I’m back with a kid-friendly, super adorable toast-inspired recipe that’s easy to put together and even easier to enjoy. I’ve been seeing photos of these teddy bear toasts recipes where people use fresh fruit to replicate the face of a bear. I fell in love with the idea so I decided to make it here! Add the cashews and coconut oil to a food processor and process this mixture for 5-10 minutes, scraping down the sides as necessary. The cashews should start to break down and clump together, resembling sticky, wet sand (which is a strange comparison, but when you see it you’ll get it). Continue to process until you reach the desired consistency. I prefer a few bits of cashew in my butter, so I didn’t process until completely smooth. Add salt, cinnamon, and vanilla and process again for another minute. If it the butter seems to be clumping together, add a teaspoon or two more of coconut oil to smooth it out. Add in the honey, if desired, and process for a minute more. Transfer the butter to a Tupperware or mason jar and store at room temperature or in the fridge. If you store at room temp, simply give the cashew butter a stir before you use it. 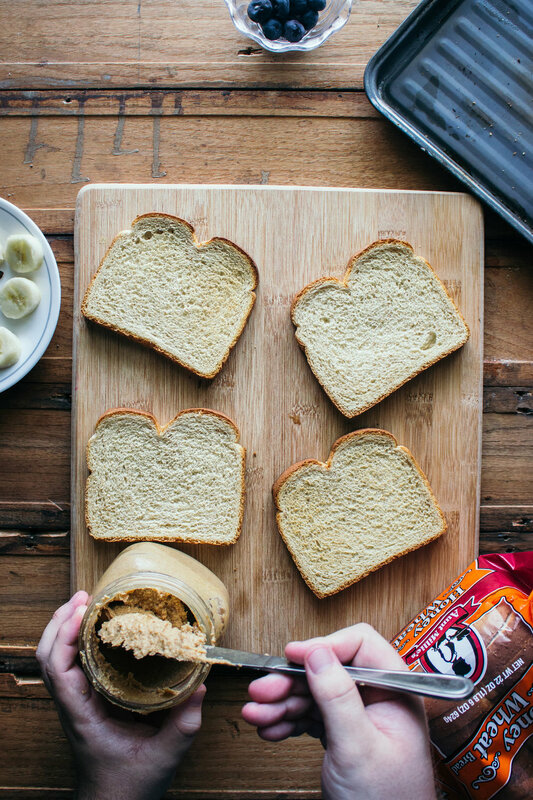 On four pieces of toasted bread, spread an even layer of the cashew butter over each piece. Place three banana slices on the toast, two at the top corners of the bread and one a half inch or so from the bottom. Place one blueberry on top of the banana slice you placed towards the bottom, creating the nose. Then add two more blueberries in the middle of the banana slices, creating the eyes. Serve immediately.